As helpful as the fog lamps in the front of your vehicle can be, sometimes you have a need for fog lamps in the rear of your Jeep, too. For those times, JustforJeeps.com sells the Mopar Rear Fog Light Kit to minimize glare and to drive more safely when the weather is poor. 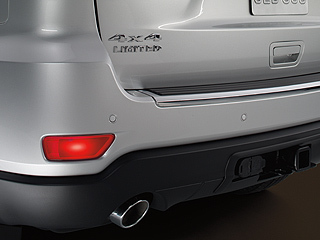 The Rear Fog Light Kit is compatible with Jeep Grand Cherokees built from 2011 to 2013. Give your rear visibility a considerable boost with Item No. 82212166 from Mopar, and drive safely. Check state and local restrictions on installation and use. This was installed in my 2014 JGC. was not easy and took a lot of testing for the wiring, But I got it to work. Lights go on when the fog lights are turned on only. Very Nice!